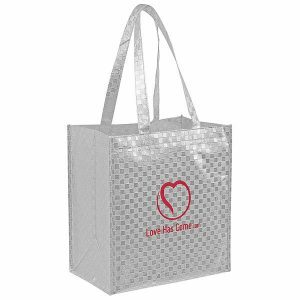 Our customizable laminated shopping bags are well-made custom reusable bags that have a high-end look that will get your brand noticed. 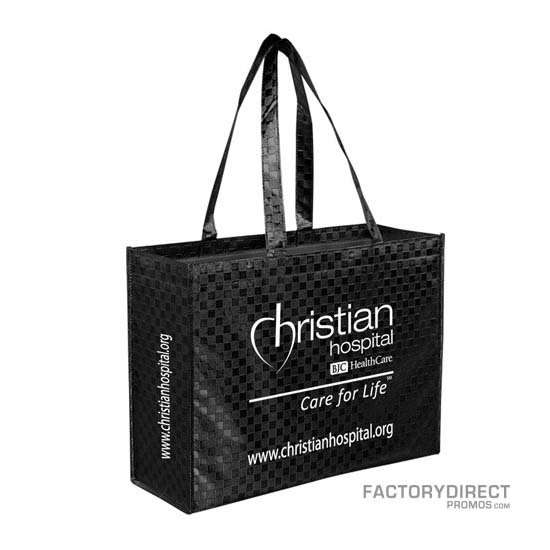 The recyclable material ensures that your customers can dispose of the bag in an environmentally conscious way when the time comes, but chances are they won’t have to for quite awhile with their durable bag construction and trustworthy handles making this an eco-friendly long lasting tote. 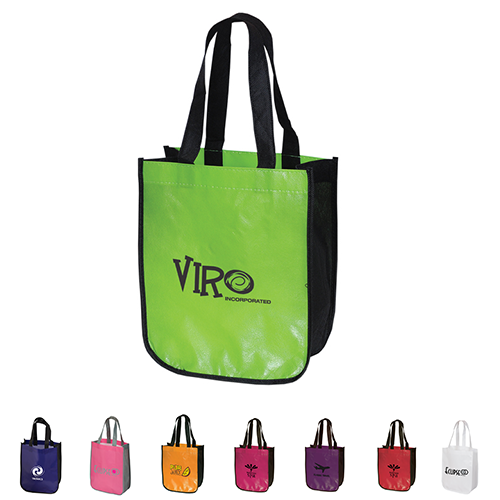 Imprint your brand logo on this eye-catching bag to increase your brand awareness while also establishing your company as one that strives to protect and preserve the environment. 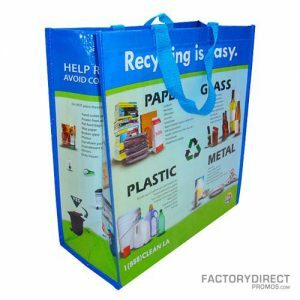 At Factory Direct Promos we work directly with the factory so we are able to ensure a high level of quality in our bags and a great price. 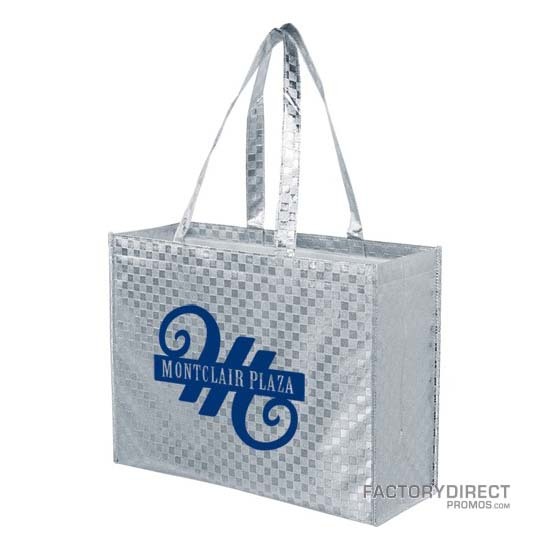 If you plan to place a large order that meets our minimum quantity requirements and your delivery schedule can accommodate our factory’s 60–90 day turnaround, look into our high-quantity bulk production pricing for even lower wholesale prices and additional options to further customize your bag.